‘Arthur and Co’ is a series of digital stories made by people living with arthritis. The chapter outlines how Dr O’Neill became involved in Patient Voices through her work enabling patient experience and knowledge to become embedded in health professional education. 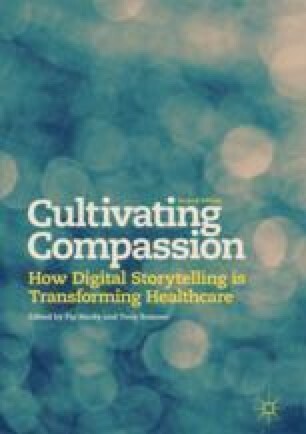 The chapter includes reflections from the people who made the stories, identifying how the digital storytelling process resulted in positive outcomes, including coming to terms with the impact of having a chronic disease and helping others to ‘walk in my shoes’ and develop new insights. The chapter highlights how the stories provide a timeless educational resource that helps people learn long after the stories were first made. The stories created as part of this project can be viewed on the Patient Voices website at http://www.patientvoices.org.uk/wr.htm.